After our successful Luberon villages outing, we decided to try another tour, I thought it would be interesting to see a different coastal landscape + see how salt has been produced from the sea for many generations. 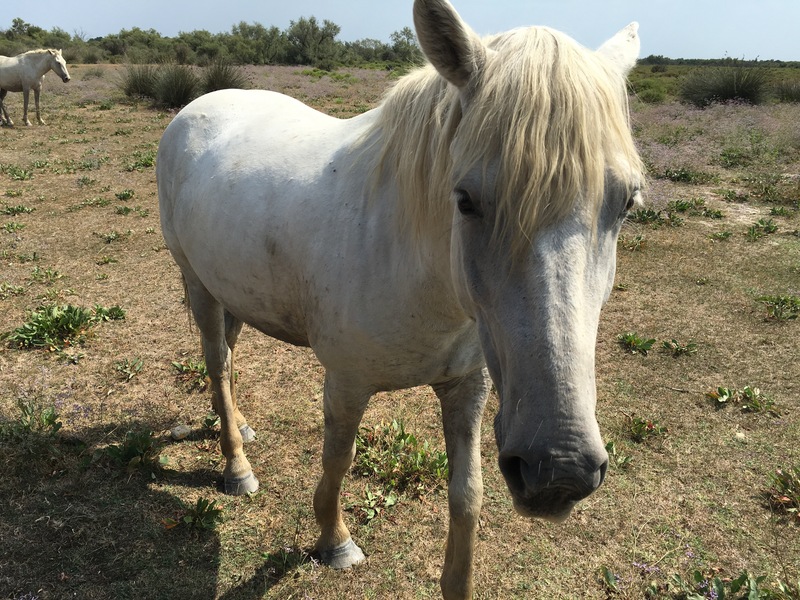 We were able to arrange a Camargue tour on short notice and – unbeknownst to us at the time – we were the entire group! We had a quick lunch at Les Deux Garcons – more tourist hype than authentic cafe experience in my opinion – and went off to meet up with our guide for the afternoon. http://lesdeuxgarcons.fr/ We did run in to Betty and Bill there from the previous day and had a quick chat exchanging notes on destinations and restaurants. We also commiserated about a large and loud group of fellow Americans.. I guess we can’t all be subtle and savvy travelers! The Camargue is a region of wetlands known for wild(ish) horses and bulls + large flocks of flamingos. Might have been good to know that the very end of a hot dry summer is easily the worst time to visit!! We did see horses, bulls, and flamingos – albeit at a distance – but the trip may be more remembered for the large and aggressive mosquitoes!! Still whelped and itching days later!! Saintes-Maries-de-la-Mer (http://www.saintesmaries.com/) is a lovely beach town. Period. As the story goes, its shore once welcomed – at the dawn of the Christianity after the execution of Jesus – Marie Jacobi, Marie Salomé and their handmaid Sarah, who were persecuted Christians escaping from Palestine on a boat without a rudder guided by an angel. Miracles followed. For more.. http://www.saintesmaries.com/eng/saintes-maries-de-la-mer.html Had we been there during a bull game (they don’t fight/kill the Camargue bulls as in Spain) or gypsy festival, it might have been a different story. 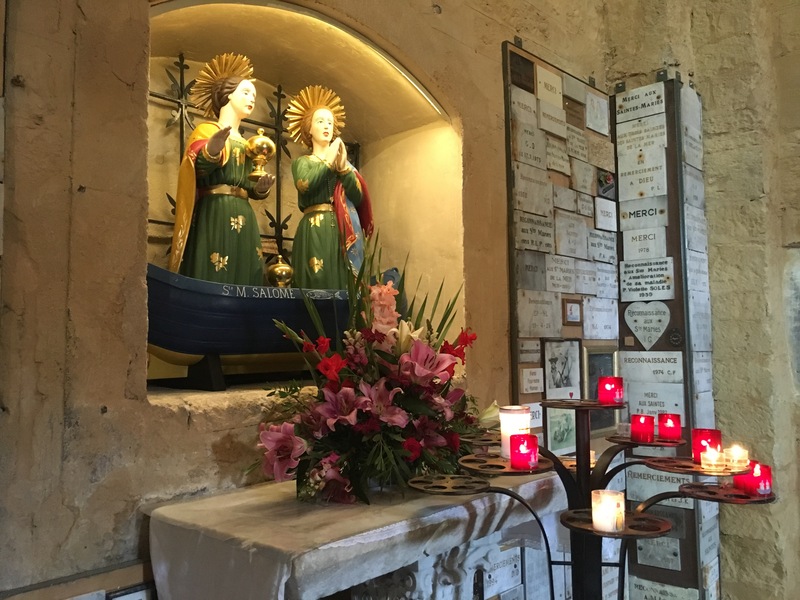 But essentially, there was a little tourist town, a nice church dedicated to the two St Maries and St Sarah, and a beach on the Mediterranean sea. In lieu of 2 hrs in the quaint tourist trap, we asked the driver if we could go to where the Salt Train tour is. http://www.visitesalinsdecamargue.com/en/train-tour/ We ended up in Aigues-Mortes, which was close, but due to driving time, etc, it just wasn’t going to be possible to get there in time for the tour. 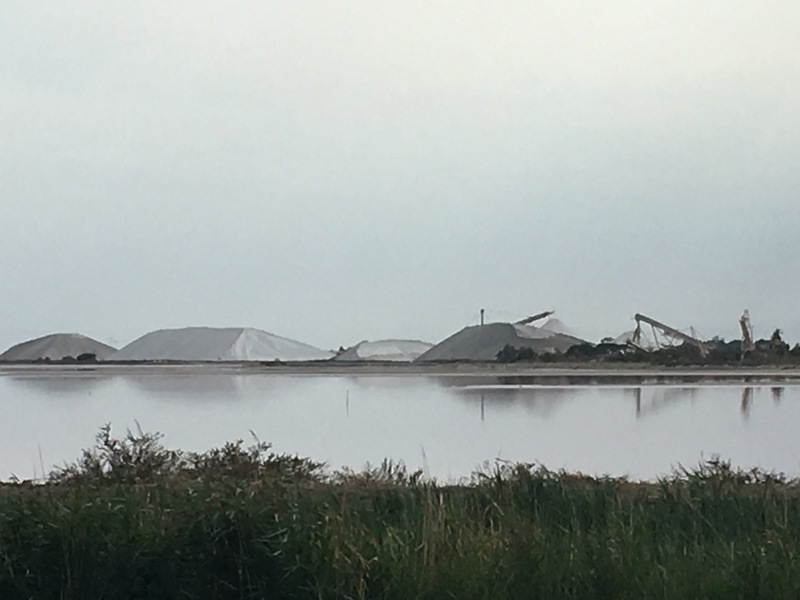 We did see the salt production facility from across the bay and also had a little time in the walled inner city of Aigues-Mortes, but that was about it. Still, we did get rice grown and salt produced in Camargue – so we’ll have that memory once we’re home. 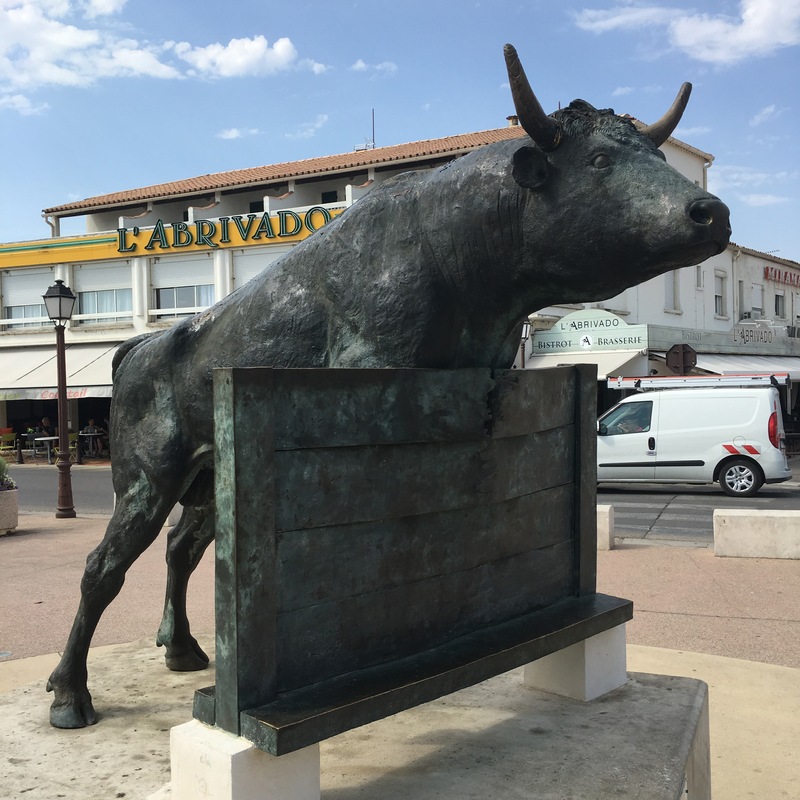 Note to self – and anyone else who may read this blog: Go to Camargue in June! Next Next post: Best laid plans..